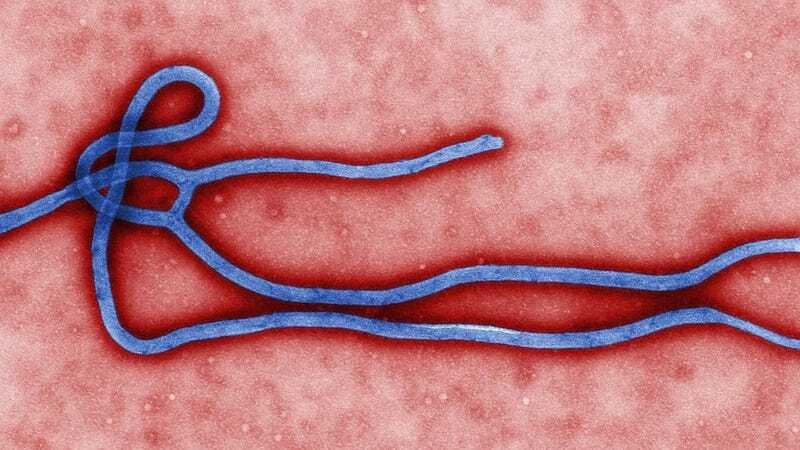 Ebola is an incredibly aggressive virus that kills 90 percent of people it infects, and it is often feared that its use as a biological weapon could wipe out millions of people—because it has no known cure. Now, though, scientists are one step closer to finding a solution, because they can now successfully cure monkeys which contract the virus. There have been some suggested Ebola cures in the past, but they had to be administered within minutes of infection—which is completely impractical. Now, though, researchers from the National Microbiology Laboratory in Winnipeg, Canada, have developed a cocktail of antibodies called ZMAb which cures cynomolgus monkeys infected with the Zaire virus—the deadliest strain of Ebola. The treatment works best when administered within 24 hours of infection, with 100 per cent of monkeys treated in such a way surviving. The researchers also report, however, that two of four monkeys given the medication 48 hours after infection also lived. By contrast, any monkey left untreated dies within five days. The results appear in Science Translational Medicine.